Hello! This darling vest was cast on in the Uber ride to the airport and finished on the second day of our trip. It's a good thing I brought multiple projects on my vacation! 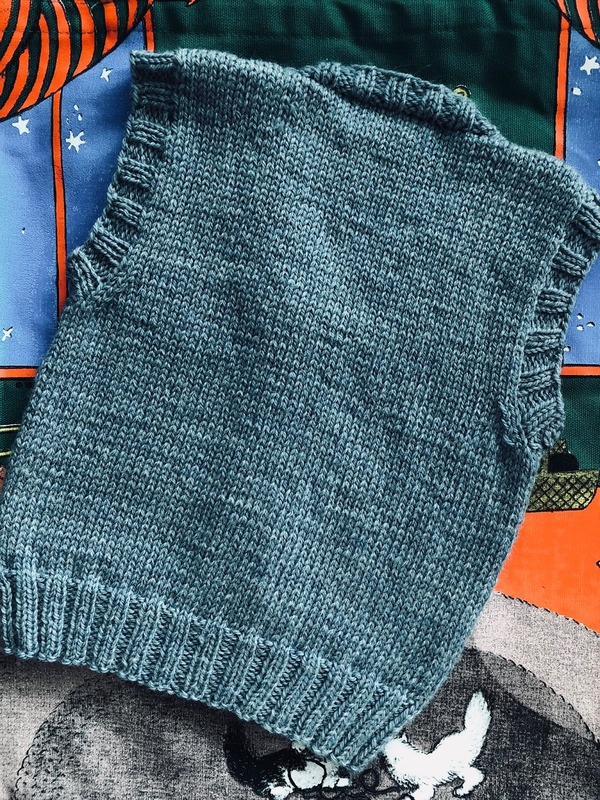 I have begun to see how practical vests are for little ones. If there's a little chill in the air you can pop a vest over the head to add a little warmth. Plus, little boys look so dapper in a vest. This pattern is free from Stitch Studio Design Team and is sized 6, 9, 12, and 24 months. This is the 24 month size. 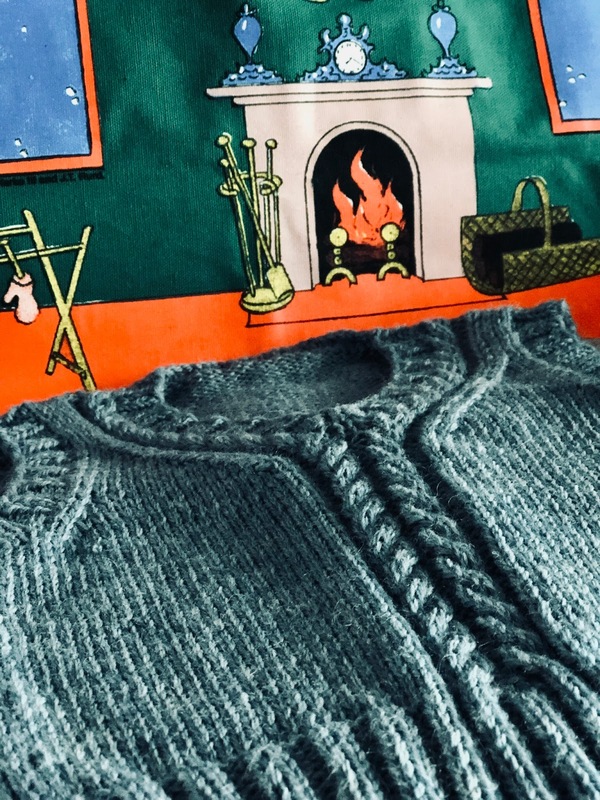 This pattern uses traditional techniques, but a few simple changes will update it and make it even easier to knit. 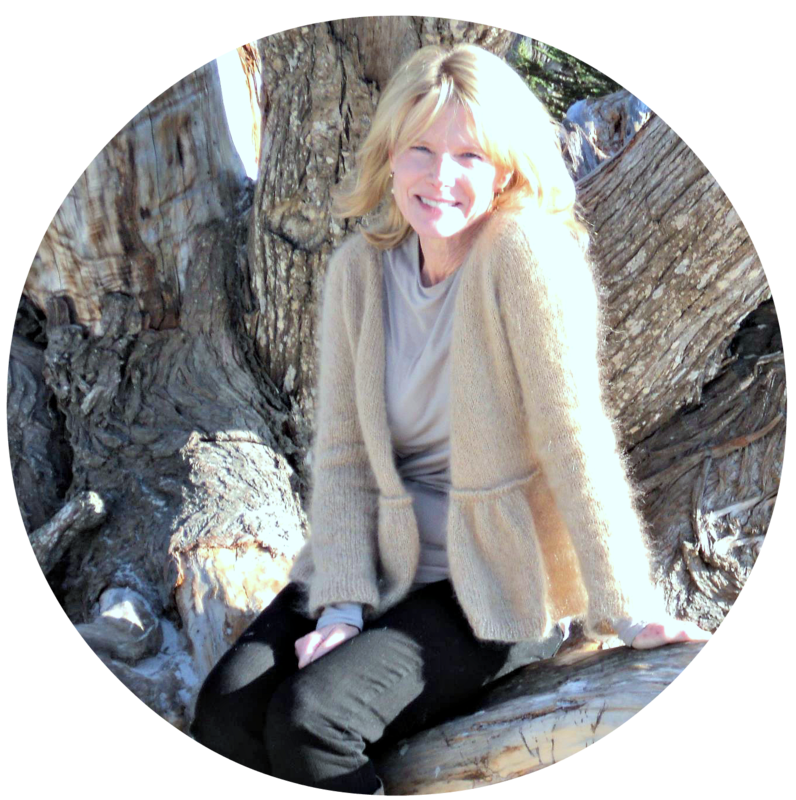 I've noted these changes on my Ravelry project page. 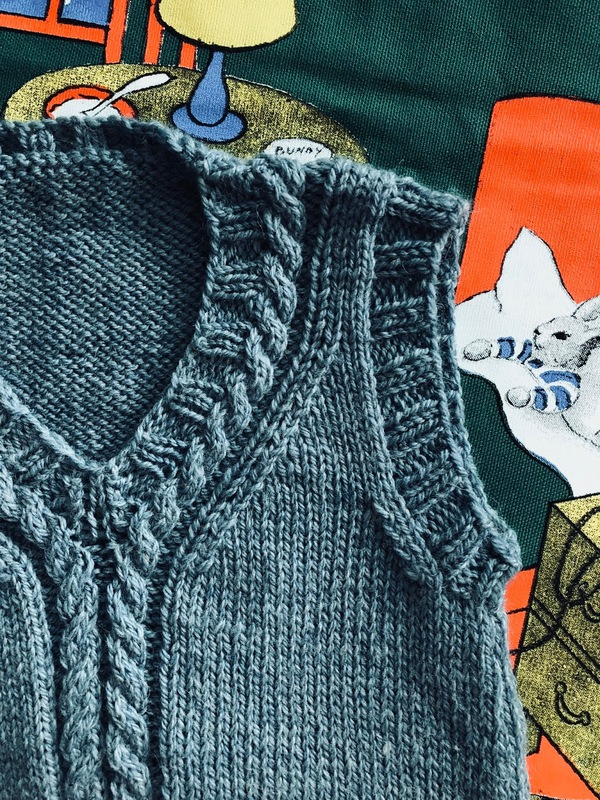 Rowan Pure Wool Superwash DK (now discontinued) benefits greatly with a good wet block. It will get much softer. 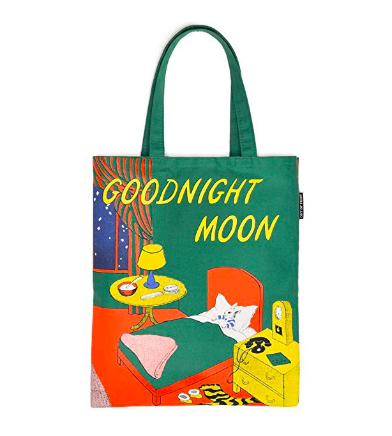 The vest is photographed against a gorgeous Goodnight Moon tote bag. My grandson loves that little book, as did his daddy. I guess all children all over the world love that book! 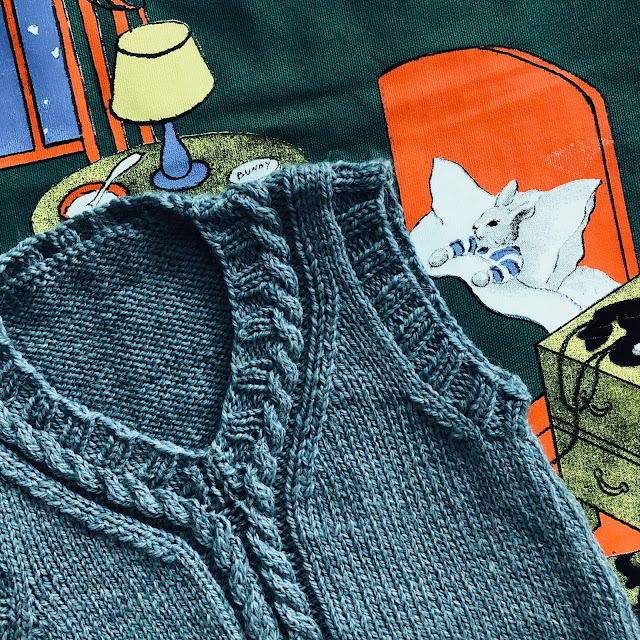 Both the vest and the tote are going to be Christmas gifts. Thank you! I just don't know why more people don't knit it. 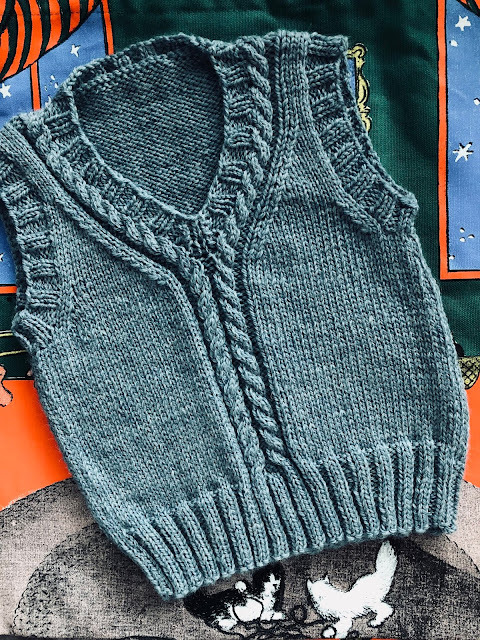 There are very few projects on Ravelry and I just think it's an adorable vest too!